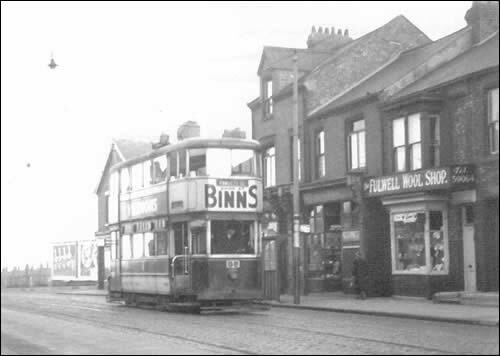 A great photograph of a tram outside Fulwell Wool Shop at the Fulwell Terminus, Sunderland. Taken on 24th September 1954. Sent in by © Allan Edwards.